Does anyone else experience guilt when it has been a while since your last blog? It does make me laugh at myself. 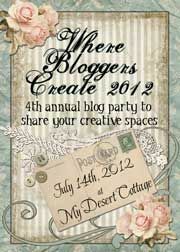 I think it's because my new creations are screaming, "Get me out there! I want to be seen!" (No, I did not actually hear them say that!). A few pieces were modified and the rest were inspirations. 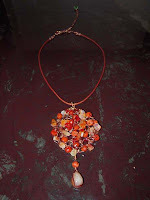 As you can see, I am really into Carnelian and the reddish brown tones. Let me know if you like them as well as the other pieces. Also, look forward to berry colors. I have been off berry picking right down the street from where I live in Hillsboro, Oregon and the colors (and the flavors) are beautiful and inspiring...black raspberries, loganberries, tayberries, blueberries, currants, and blackberries!!! The ring is a new creation I call Carnelian Starburst. This was my first ring attempt and I love the idea just not the amount of time involved. The original bangle was made more rigid-it still has give to it to slide on and can be molded to how you like to wear it. Until I find a suitable hand model you are subjected to mine! I have gotten many compliments on this pendant. In my Carnelian search I found a variety of teardrops-each is unique. 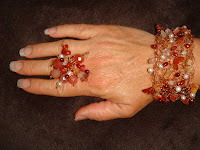 In addition, there's Carnelian chips and red jasper on a copper coated leather strap. I like the pendant with a hook at the top so you can interchange it with your favorite necklace. This will also look striking on a silver wire necklace-dare to be different.